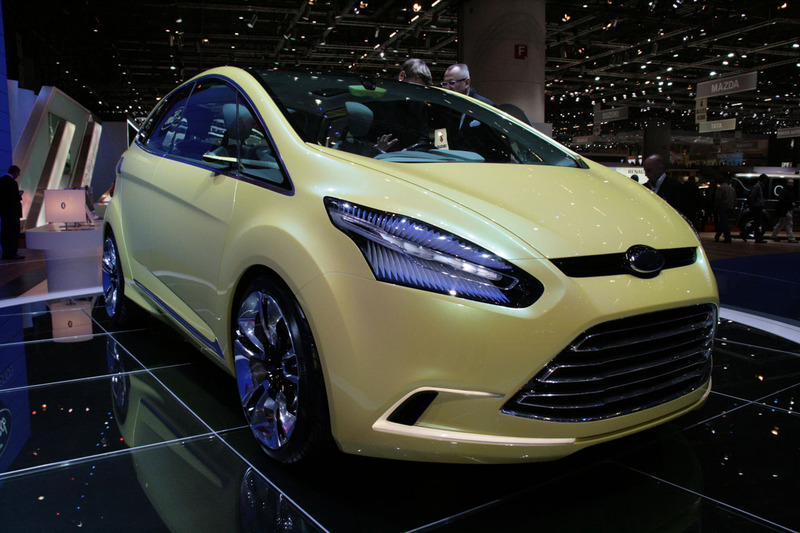 Ford of Europe released a bunch of images of the Ford Iosis Max concept, which is on display at the 2009 Geneva Auto Show. The company says it's an early look at the styling direction for its next C-segment car (read: third-generation Ford Focus). Given the tall body and sliding rear doors on the Iosis Max, though, we'd say it's more specifically a look at the next Focus C-Max, a five-passenger MPV relation of the U.S.-market Mazda 5. Probably the most interesting design feature that might actually be feasible on a production car is the tailgate, which has a separate glass section that opens independently of the main hatch. It's a common enough design cue on SUVs, so why not on a minivan? Ford's Iosis Max concept also has another of Ford's much-hyped turbocharged, direct-injected engines -- this time a 1.6-liter inline-4 good for 177 horsepower. 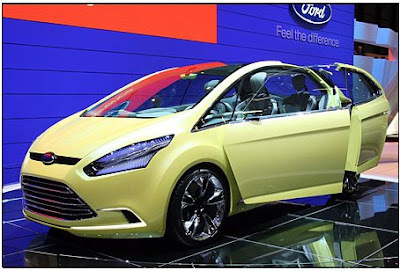 Ford says this engine will go into production for the European market in 2010. The engine is paired with a six-speed, dual-clutch transmission. Ford has boldly named the twin-clutch 'box PowerShift -- more than a little over the top for a transmission that's only being tasked with torque loads from a 1.6-liter turbo. Of course, there's an idle-stop feature to help it comply with EU CO2 regulations. Interestingly, the Ford Iosis Max uses an active hood system, which is an expensive way of meeting European pedestrian protection standards -- the 2010 Mercedes-Benz E-Class has an active hood as well. Usually, manufacturers just make the hood taller to provide more noggin crush space, and we expect the production version of the Iosis Max will follow suit.